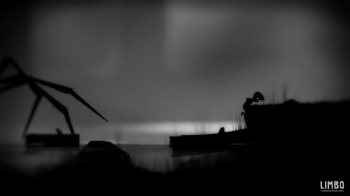 Limbo, a simple, exceedingly popular platforming hit, is now scheduled to arrive on the iOS operating system on July 2. That news comes courtesy of developer Playdead who dropped the info in a recent news post on the game's official site. Great, right? Certainly, but why now? Limbo already exists on the PlayStation 3, Xbox 360, PC and Linux platforms, so why has it taken so long for Playdead to port the title to Apple's fan-favorite mobile operating system? A while back we decided to try to get LIMBO running on the "iDevices" ... When we had it up and running, we were amazed by how well the game looked on the smaller screens, and decided to go all the way, even though we knew that nailing the "ultimate" touch based controls would be a serious drag and that optimizing the performance all over again would take a while, but here we are ready to launch, and we must admit that everyone at the studio are blown by the work the small port team has done with this version(and thanks to our numerous playtesters!). We hope you'll like this version of LIMBO! There you have it: Limbo hits iOS in July because it took Playdead a while to optimize the game for smaller iPad/iPhone screens. Sounds reasonable to me. According to Playdead, Limbo will be available for a mere $5. You'll need an iPhone 4S or better to play the game on your cellular, while iPad users will need an iPad 2, an iPad Mini or any Apple tablet released since those gadgets hit retail. If you've got the necessary tech, we strongly urge you to buy this game as it's brilliant in its simplicity, and we very much like the idea of each of you being terrified out of your minds by the game's arachnid enemies. We've said too much. Buy Limbo.